A Phoenix man, Raymond Bautista was arrested for both an aggravated DUI while driving on a suspended license and an aggravated DUI with a child in the car after his vehicle struck a curb completely disabling it. To make matters worse, Bautista fled the scene with his 8 year old son. If you are facing an aggravated DUI I highly recommend that you seek out the best DUI attorney in Phoenix as it is considered a class 6 felony. What is at stake for an aggravated DUI conviction? If you are found Guilty of an Aggravated DUI under ARS 28-1383, there are “mandatory minimum” sentences. For example, if convicted, you must serve a minimum of 4 months in the Arizona Department of Corrections as a term or probation. If granted probation, it can last up to 10 years. Furthermore, if this is a first felony conviction and you are not granted probation, you would serve 1 - 3.75 yearsin prison. I personally defend those who are charged with Aggravated DUI. 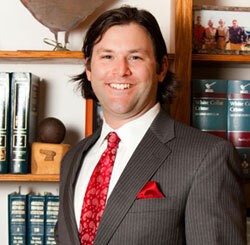 Unlike many law firms that want as many cases as possible, I represent a limited number of clients at any given time. Many of my clients' cases result in dismissals, not guilty verdicts, no jail time, or substantially reduced charges. Your freedom is at risk and you need a DUI attorney that has extensive experience defending those charged with an Aggravated DUI. I have personally logged thousands of hours in the courtroom obtaining favorable results for my clients. For personal legal representation for an Aggravated DUI, contact the Law Office of Aaron Black to set up a free consultation or call 480-729-1683.